Technology continues to advance at an impressive rate. The desire to improve and reach new limits has always been an admirable trait of mankind. We are constantly surrounded by technology it doesn’t even cross our mind anymore. 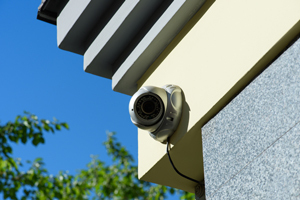 One piece of technology that continues to change and improve is video surveillance. The wow-factor may have diminished with time but that doesn’t stop us from pushing forward. From the early years to current times, video surveillance has come leaps and bounds. To have video surveillance you first have to have the cameras to capture the footage. It was in 1880 when the first movie camera was developed. Both Thomas Edison and William Dickson, working separately, tackled the concept of the motion picture. It wasn’t until 1893 that they were able to make a public demonstration of a motion picture. It caught like wildfire and within a few years commercial motion pictures were being created and viewed across America. In 1939, portable cameras were made allowing the user to hold it comfortably in one hand. These were used in modern warfare because they were able to use the camera without drawing attention to themselves. Closed Circuit Television (CCTV) was first used in Germany in 1942. Scientists developed this so they could monitor the launch of V2 rockets. Later, this was used in the United States during the testing of Atomic Bombs. In 1951 the Video Tape Recorder (VTR) was invented. 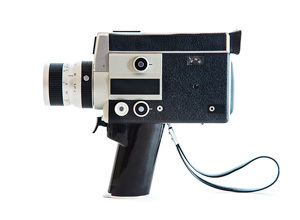 This was used to record live images from a camera using a magnetic recording strip. Companies such as General Precision Labs provided CCTV camera systems in 1957 for education, medical and industrial use. Early CCTV and TV broadcast equipment shared technology. At this time, they both only had grey-scale abilities. It wasn’t until the late 1950s that color cameras were available. However, it was debated on whether color or grey-scale was better for video surveillance. Color allowed for key details to be recorded such as the color of a car and grey-scale had better resolution. When video surveillance first began there wasn’t a great system for video recording yet. So, unfortunately, the cameras were primarily used only for real-time viewing. This didn’t stop the use of video surveillance though as Business 2 Community states. 1960: Police in England set up cameras to monitor the crowds when Thai royalty visited. 1965: Police set up cameras in public places for public video surveillance. 1969: Marie Van Brittan Brown created video home security! The system contained four peepholes and a camera that could be moved to look through them. The camera then sent the images to a monitor within the home. 1970s: Banks and retailers started to use CCTV as a security system. 1990s: Cameras are installed into ATMs to record transactions. 1992: The “Nanny Cam” came into existence. Parents would hide and use cameras to watch over their children when they were being babysat. 1993: The World Trade Center was attacked. This caused increased video surveillance in high profile locations to watch for potential terrorist attacks. The first IP camera was introduced in 1996. This was the first step into a drastic growth of video surveillance technology. What these new cameras did was they stopped using a coax cable and converted over to the use of the Ethernet network. This means the video signals were no longer sent as analog signals and instead were sent as digital encoded signals across computer networks. From 2002 to 2004, just a short two years, the resolution improved by eight times over what the older cameras were providing! It was during this time that different companies entered the video surveillance game and began the race of advancing technology. Today video surveillance is used all around the world for many reasons. It is being used by homeowners to watch over their homes and families. Commercial properties are using it to secure their businesses and inventories. The government uses it in all aspects of their safety and security. It is estimated that over 30 million surveillance cameras are used within the United State and over 100 million cameras worldwide. With the market being so large there is a vast range of cameras available for video surveillance from consumer use to professional use. In 2015, Sony was the first to develop the sensor needed for 4K resolution cameras. 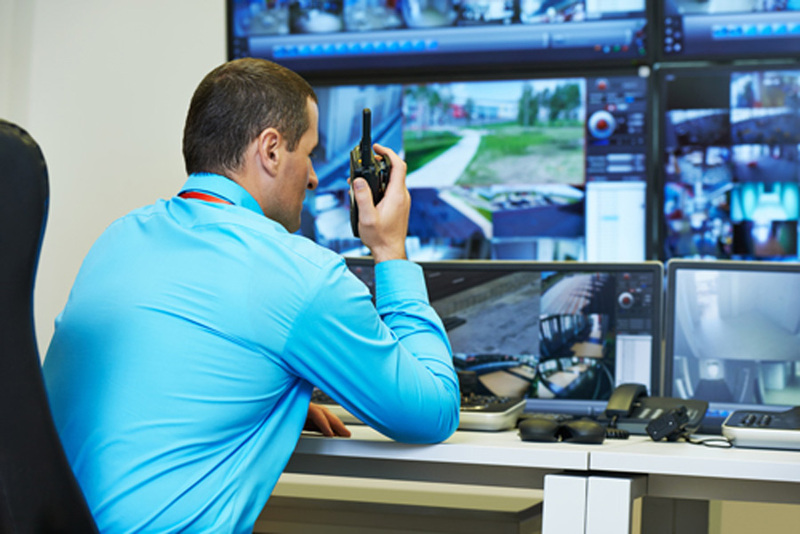 Just as expected, video surveillance technology continues to advance and grow in its effectiveness and efficiency. One concern of the wide availability and use of video surveillance is the concern for privacy. The American Civil Liberties Union (ACLU) fights for public privacy against constant and intrusive surveillance. However, most agree that now the ability to have cameras help secure our safety is widely accepted. Peace of mind has a high price tag and is sought by everyone. Knowing that your home, possessions, and family are safe and secure is priceless. With the use of cameras and security systems, we are able to gain that peace and sleep soundly. Don’t hesitate to secure your home or business with a professional security system that includes video surveillance today. Reach out to your local security company to talk about your options.